When you think of automotive maintenance, it might seem stressful or time-consuming, but it doesn’t have to be! 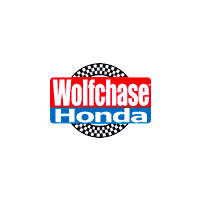 The Wolfchase Honda service center in Bartlett is here to make the process as quick and easy for you as possible. Our highly trained technicians are well-equipped to work on Honda vehicles, as well as a range of vehicles from other brands, and we offer loaner vehicles to use while your car is undergoing service. Whether you need routine maintenance, a consultation, or a vehicle repair, we’re here to make sure your vehicle stays in proper working order, so you can continue to drive it from Arlington to Memphis and everywhere in between. We even offer a variety of service specials and parts specials to help you save on maintenance and replacements. Whether you need an oil change or a tire rotation, or you’re in need of new brakes or an engine repair, you can easily schedule your service appointment online or contact our service center if you have any questions. Please use the buttons below to schedule service at our dealership or contact our Service Department. You can also call us at (800) 591-5998.